It’s a dream for every property seeker to have a house of their own; however the perks of living in a rented house cannot be ignored. Even though it doesn’t mean having a house on your name but it sure will help you save a huge amount to support you for future realty investment, especially when you are starting a new life in some prime city like Chennai, Mumbai or some other metropolitan reion. Let us look at the pros and cons of living in a rented house and how you can have the best of both worlds because of your rented accommodation, by taking Chennai as your base city. The buying vs. rent decision is one of the most crucial decision every working 20s or 30s something person takes at least once in their life. 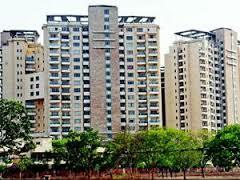 Chennai is one of the few cities where the majority of property seekers belong to renters. While the process of searching for a house for rent in Chennai would be more or less similar to any other city in India, the problem that comes with Chennai is that people generally do not leave the city in a short span of time, making it difficult for them to choose whether to live on rent or buy a house. The decision is becoming ever more difficult with low property price and a high disposable income level, a mark that is seen in almost all Chennaites. However, you need to the keep the option of living as a tenant open before you invest all your money as a token of buying a new house. The benefits you can derive from living in a rented accommodation is enough to manage your budget so that you can buy a house sometime in future. Renting can always be viewed as a stepping stone of buying a house. Renting mostly attributes to a low monthly expense than buying a house. When you club your credit, property tax and home insurance; rented properties are mostly cheaper, especially when compared with a lesser down payment credit which includes private insurance. Even when property prices are low, rent value is mostly fixed, this is a benefit for landlords. Renting is more than low monthly insurance’s EMI cost, nonetheless. It also accumulates your money in various other ways. Homes mostly price more in terms of maintenance, and if they carry lawns, you either will need to mow them or give money to someone else to maintain them. Landlords are supposed to pay for fixing a defective roof and change/ remove defective appliances in order to have their rental houses in demand. But, if you are a homeowner, these repairs happen at your expense. These extra costs subsequently add up to hundreds of dollars a year. Buying a home in the present economy usually requires a high percent of down payment. Having such large amount of cash present in your reserves, you can do so many things with that money. Homes are not good investments at time of appreciation or when they are somewhat more than the amount of inflation. However, if you take the down payment money and save them to invest later, you can end up with a better home with time. Think what will happen when you get a good job offer 500 kilometers away but you own one house? Or if you find your family members growing but you live in a one bedroom apartment which you bought just 2 years ago? With rented house, you can easily move at time your lease ends. With job chances being scarce, the option to relocate and a great pay can seem to be a great thing. Renting always makes it easy to shift to a house, which suits your needs. Many companies refund rent amount as part of the salary. The rent amount is also a great amount to save taxes legally. Even though living in a rented house is a great thing, the attraction of having your own house is a big thing. However, you can enjoy living in a bigger and better own house when you manage to save money from your rent deducted income. So, after living in a rented house for some years while you have saved a fixed amount of money every month, you need not worry about the token money or the booking amount. Tripti writes on the behalf of 99acres.com. Her articles talk about new developments in the real estate industry. She is an avid fiction reader, craftsman and a keen observer. Being someone who just observes without having a point of view, she keeps herself updated in real time. You can reach her on G+ and LinkedIn. In its bid to come out with a strong pro-consumer law to protect home buyers, the Centre on Wednesday approved 20 changes in the Real Estate (Regulation and Development) Bill including the enabling provisions for insurance of land title to avoid risk of losing investment. It also carries a provision for imprisonment up to three years or penalty or both in case of builders, one year for both real estate agents and buyers for violating the orders of appellate tribunals. Another major change in favour of consumers is mandatory keeping of 70% of the sale proceeds for a particular project in a separate account to meet the construction cost of that project, which also includes the land cost. Moreover, the regulatory authorities can grade projects along with grading of promoters to help buyers take the right decision while booking a property. In order to make states comply with the norms, the bill provisions that they will have to make the rules within six months of notification of the proposed Act. Each state will establish a real estate regulator and an appellate tribunal as per the rules. The tribunal will be the final arbiter in case of disputes between a buyer and builders or promoters. Either party can approach the tribunal if the dispute is not settled by the real estate regulator. Some of the other key provisions of the revised bill include mandatory registration of projects of 500sqm area or eight flats with regulator instead of 1,000 sq metre or 12 flats as proposed earlier. Our Telephone numbers are out of order and there is no Internet Connectivity – due to the Floods and Rain in Chennai. We will respond to the emails in the order it was received once we have the phone and internet restored.